Many businesses need data center space but do not have the resources or desire to run an entire facility themselves. These colocation customers rent space from data centers with managers and maintenance capabilities in place. With this service there is an expectation of security, proper cooling, efficiency, maintenance of uptime and so much more. These things are certainly written into a contract but – are they really happening. In an era of so much transparency, many customers want to know if their colocation facility is truly providing all of the services they say they are. It can be difficult for customers to truly grasp or quantify what is happening if there is no proof or transparency. But, can colocation facilities actually provide that transparency for customers and, if so, what does that look like? Shy of physically being in the data center it can be tricky for colocation customers to have a good grasp on what is actually happening on site. But, this is beginning to change with the advent of increased monitoring that is smart and intuitive and capable of being remotely accessed. This monitoring not only tracks what is happening but can put the information it collects into charts and graphs that help give customers a clear picture of what is happening. With today’s monitoring not only can you see what has been happening in previous months but customers can also access real-time information. For customers that want complete transparency, it is important to seek out a colocation facility that is capable of and comfortable with allowing customers access to this sort of information. What data centers must understand is that to provide this level of transparency means that they must also truly deliver on what they are promising to their clients. What customers must understand is that the technology is still trying to catch up to modern data centers and today’s customer’s desires for transparency. When renting space for colocation that houses multiple clients it can be tricky to provide customers with truly unique information and statistics that specifically pertains to their business and their business alone. But, developers realize that and technology is getting there because the need exists. While every data center is different, most modern facilities should have a DCIM plan in place that includes extensive monitoring. This is not only because data center managers need this in order to properly maintain their facility and maximize uptime but because without it they cannot truly provide transparency to customers. When choosing a data center, it is imperative that customers talk about monitoring options with their managers. If your data center does not currently have these capabilities in place, discuss what options will be going forward. It is beneficial for everyone involved that transparency is the name of the game so customers should seek out locations that prioritize transparency and colocation facilities should make every effort to move in the direction of transparency to stay at the forefront of technology. 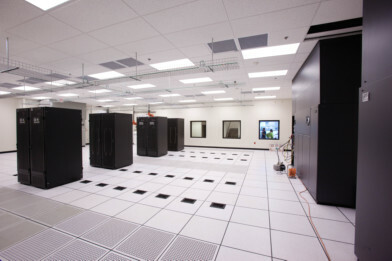 This entry was posted in Data Center Design, Data Center Security. Bookmark the permalink.